The shortest book in the Bible is 2 John, but it does have one thing going for it, and that’s that it comes before 3 John. And it’s 3 John that I’m going to read from this morning. This little book isn’t divided into chapters, because it’s only got 15 verses in all (two more than 2 John). And it’s really just a personal letter from John to a guy named Gaius. 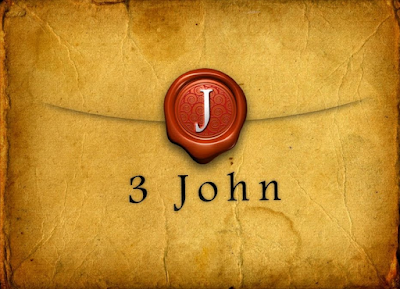 John is thought to be the same John who wrote not only the other two letters of John, but also the Gospel According to John. And that’s why we call him John the Evangelist. I was overjoyed when some of the friends arrived and testified to your faithfulness to the truth, namely how you walk in the truth. I have no greater joy than this, to hear that my children are walking in the truth. Beloved, you do faithfully whatever you do for the friends, even though they are strangers to you; they have testified to your love before the church. You will do well to send them on in a manner worthy of God; for they began their journey for the sake of Christ, accepting no support from non-believers. Therefore we ought to support such people, so that we may become co-workers with the truth. 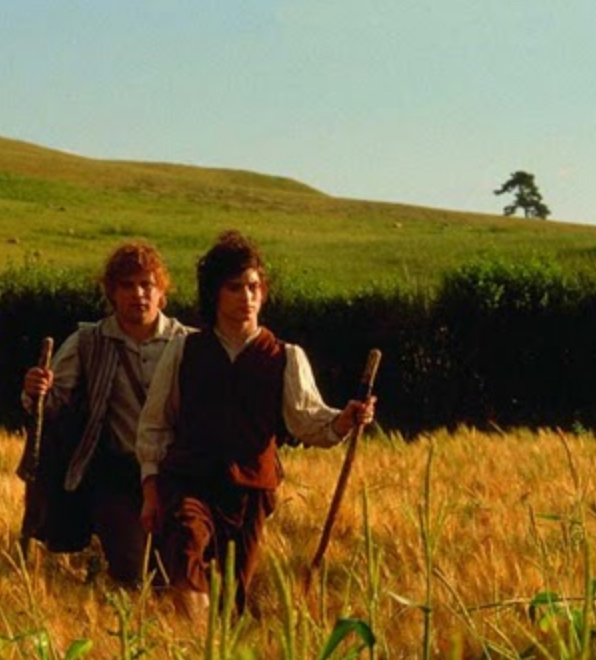 If life is a journey, then the Christian life is a pilgrimage— a road with so many forks and twists and turns that we cannot always see clearly the way we should go. Putting one foot in front of the other, we are called beyond ourselves into something new—we know not what. We may be one of the great and powerful— and what a blessing that would be! But Jesus tells us that the greater blessing is to be one of the least of his brothers and sisters, for then we are most like him. 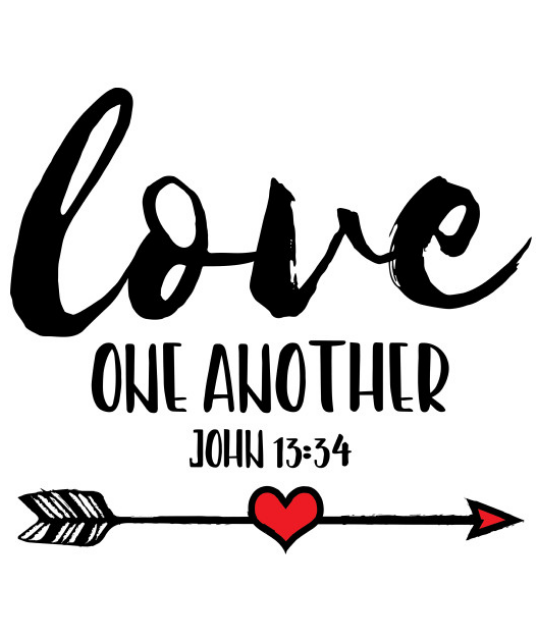 Regardless of what we think of ourselves or what others think of us, though, the one thing we all have in common is that we’re called to make this journey together, side-by-side, helping others when we’re strong, and accepting help when we’re weak. And that’s one of the most profound blessings of being a pastor. Many—I hope most—Christians know that we can’t live a life of faith in isolation. 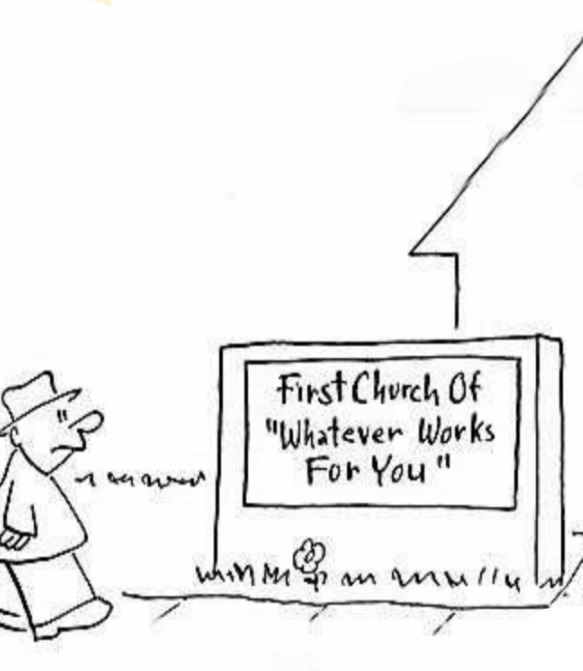 But it’s hard to remember that all the time, especially in a day and age when more and more people are turning their backs on what they call “organized religion.” But to be an ordained minister is to represent this organized religion thing. We are both the organizer and the organized, depending on the day of the week and whom we’re dealing with. But no matter what’s going on, we can’t it alone. We have to acknowledge that are needed by others, and just as importantly, that we need others, too. To walk into a new job, like I’m doing today, is a truly awesome thing. But as awesome as a new job is, the most awesome of all is when you’re welcomed as the new pastor. John alluded to this kind of thing when he wrote to Gaius, reminding him that the friends—even when they’re strangers—care for those who are sent to them. And that idea of being sent here is a touchy subject. That’s because neither UCC nor Disciples pastors are sent to their congregations. And yet, we are. 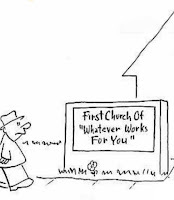 This horrible thing called “organized religion” that I mentioned earlier helps each congregation organize itself around a set of principles that is, for us, what represents the truth of what we believe. And the women and men who have entered the search and call process, and the congregations who have entered the search and call process, end up somehow being sent to one another for prayer and discernment and dialogue. And ideally, that’s how pastoral leadership is decided upon by a church under the Spirit’s guidance. Have you ever heard somebody say, “I’m spiritual, not religious”? Maybe you’ve said it yourself. And that’s okay. Spirituality is good. But so is religion—even organized religion. 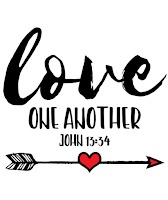 That is, if it gives us a framework to do good, to recognize God’s love at work in the world, and to walk in that truth hand-in-hand, offering support to the one who is weary, and being lifted up by the one who is strong. that the journey of faith includes making peace and working for justice—even for, with, and among those who disagree with us. These are not everyone’s priorities. Some would prefer more doctrine, more threat of damnation for those who don’t share our beliefs, more us-and-them. But we’re part of this particular movement of faith because that’s not where our paths have led us— or if they did, they were just places of sojourning before entering the road we’re now on. By calling me, you have invited me to walk beside you on this road. And by accepting that call, I have humbly asked you to walk beside me. When I am weak, please help me. When you need me, please ask. Let us assume the best in each other’s intentions. Let us be honest with one another, that when we reach out, we may do so as one body, with Jesus Christ and none other at our head. And should we be called upon to speak the truth to power, let it be with words that are both courageous and loving, remembering that in all we say and do, we have taken upon ourselves the name of Christian—followers of the Son of God who lived, died, and lives again. J.R.R. Tolkien, The Fellowship of the Ring (Boston: Houghton Mifflin Harcourt, 1954), p. 87. 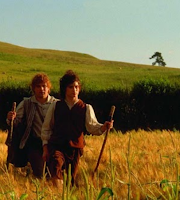 Thank you for posting your sermon and the clip from LOTR, Sam. I enjoyed both.